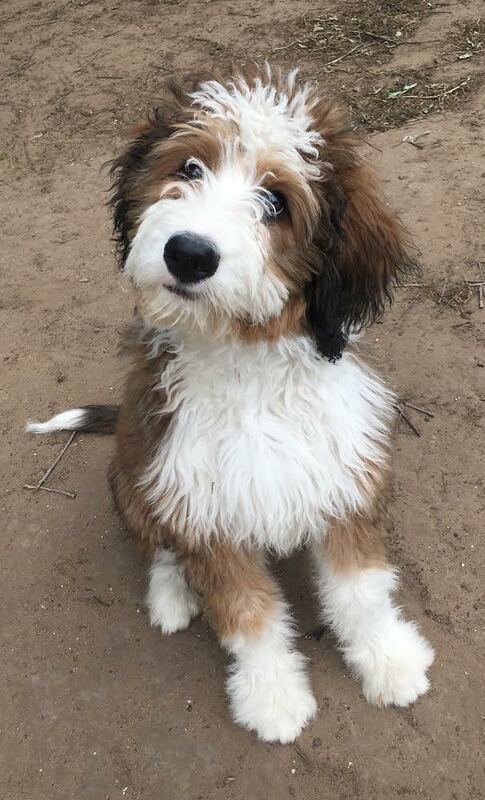 Dooley is a 6 month old Bernesedoodle (cross between Standard Poodle and a Bernese Mountain Dog) from Keller Texas. Dooley’s owners were at their wits end with her “crimes against humanity” as they put it. She was jumping, digging, counter surfing and her biggest struggle was her puppy biting! She may have been a piranha in a past life! After completing our Polite Puppy Board and Train Dooley is now a little rockstar! Her puppy biting has stopped! She’s obedient and she is on her way to becoming a well mannered adult dog!